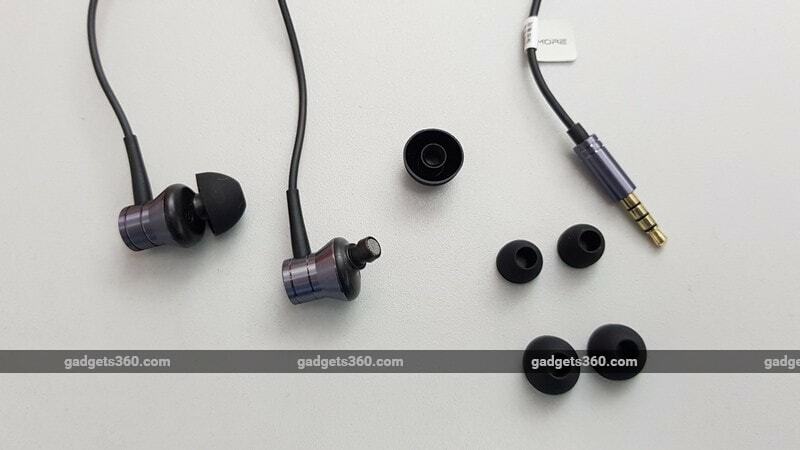 1More is another such brand in the business of selling quality audio products at cut-throat prices and has even lent its talents to companies like Xiaomi. It has an official presence in India, and today, we'll be looking at its entry-level offering called the Piston Fit. These in-ear headphones retail at Rs. 999 and come in a variety of colours. Let's see how good they are against budget champs like the OnePlus Bullets V2. The chambers of the Piston Fits earbuds are built using aluminium, which makes them light and sturdy. The Space Grey version looks good, but you can also have a pair in Silver, Rose Gold, or Blue trims. The metal casings have a ‘CD lining' texture on the surface, which looks nice but attracts lint and other microparticles that can be tough to clean. The ear tips are tilted at a 45-degree angle, which makes them comfortable to slip into your ears. There's a 1.25-meter cord that's made of soft rubber and is said to have a Kevlar fibre wrapping. 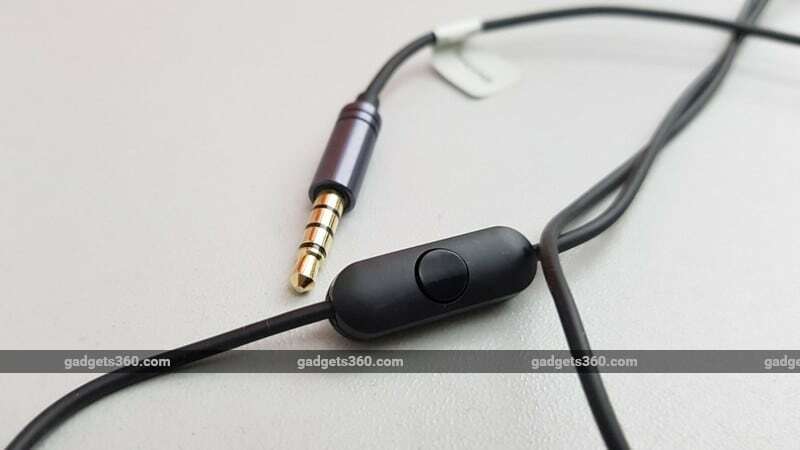 It doesn't tangle easily and terminates in a gold-plated 3.5-mm headphone jack. You also get an inline microphone and a single button remote for answering calls as well as controlling media playback, but you can't adjust your phone's volume level. The drivers have a frequency range of 20Hz to 20,000Hz and an impedance rating of 32 Ohms. 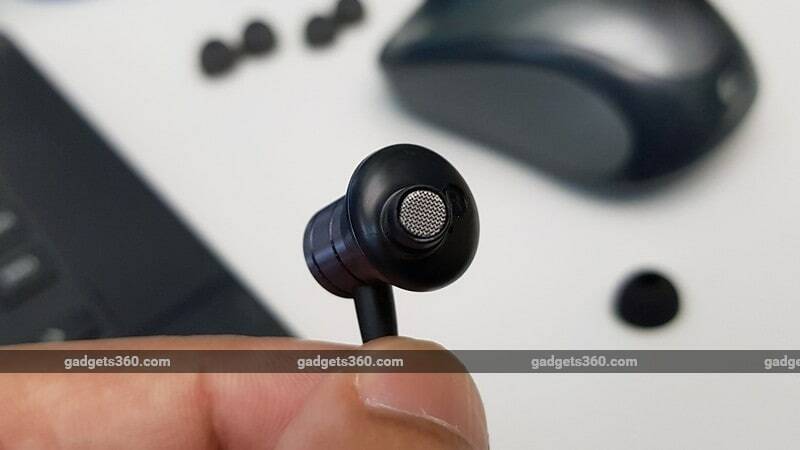 The earphones come in a simple package. You only get extra ear tips in various sizes, but these feel very flimsy and don't provide a good seal when you wear them. The Piston Fit doesn't ship with a carry pouch, which isn't that big a deal considering its price. 1More boasts of high-quality materials used in the assembly of the Piston Fit, and we have no complaints about the cord or the inline remote either, although volume controls would have been useful. The Piston Fit is extremely comfortable to wear. We rarely had any fatigue issues, even after long listening sessions. However, this comfort comes at the cost of having a good seal in your ear canals. Even with the largest included ear-tips, the earphones easily slipped out of our ears with a gentle tug. This could be a problem if you're doing any sort of physical activity. Switching to better quality tips, like the ones that ship with the OnePlus Bullets, makes a big impact on the fit and improves audio performance a bit too. For our tests, we used the Piston Fit primarily with a Samsung Galaxy S8+ (Review) with high-resolution files as well as music streamed from Apple Music. Focus tracks included Something Just Like This by the Chainsmokers, Legend Has It by Run The Jewels, and Chunky by Bruno Mars. The Piston Fit sounded a bit flat with a weak bass response while using the stock ear tips, but once we got the seal right (either by positioning the tips well or using larger ones), the audio really came alive. Sound tends to leak a bit, which is noticeable in a quiet environment, but this also has the effect of making the sound more open with a wider soundstage. The sonic signature is nicely balanced with clear highs and detailed mids, and good focus on the bass. In Chunky, the vocals and main instruments are front and centre, while the bass has a satisfying kick to it without overpowering the other frequencies even at higher volumes. In Something Just Like This, the earphones deliver a pleasantly warm tone with clear vocals. The Piston Fit does very well with tracks that have heavy bass, such as Legend Has It. Sub-bass is handled well and the low-end punch doesn't get too boomy. Once again, soundstaging is very good and we didn't find any annoying spikes in the treble at high volume levels. The inline remote control works well for voice calls and had no issues here. A single press, double-press and triple-press will play/ pause, fast forward, or rewind your music. A long-press will bring up your device's voice assistant: Google Assistant on Android and Siri on iOS. The 1More Piston Fit is an excellent pair of earphones for the price, delivering a balanced sonic signature. We like how detailed the mid-range is, and we found it to be slightly better than what the OnePlus Bullets V2 can deliver. There's ample bass to be had and it doesn't ruin the other frequencies. Our main issue with this pair of earphones is the bundled ear tips, which feel cheap and don't provide a satisfying seal. If you're planning on picking it, make sure you also buy some good ear tips to get the best out it. The lack of a volume control is also a letdown. We hope to see these issues rectified in future products from 1More. If you have access to good ear tips, then we highly recommend the Piston Fit from 1More at this price. If not, then you can't go wrong with the OnePlus Bullets V2, which also offers volume controls. product The 1More Piston Fit is a great performing pair of earphones that's built well and is also easy on the pocket.